Frau Jona&Son is the alias of Sonja Wöhrenschimmel-Wahl. She has built her own category of style coaching by combining her work as a style coach, designer and fashionblogger. unperfect body parts. As a result they start to hide their unperfect bodies and avoid expressing themselves more intense through clothes. Experimenting with fashion, that´s something for the young and skinny. Oh my god, no! 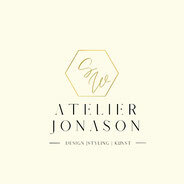 Just to be better prepared, Frau Jona&Son absolved an comprehensive education for colour, style and image coaching and included the new knowledge into her work. Now she styles people and shows them new images of themselves, positive, beautiful, relaxed images and ideas of who else they can be. With the right help they can grow over them, enjoy fashion and clothes and the chances they offer. Discovering new sides of themselves, achieving new goals and inspiring other people. Frau Jona&Son is Sonja Wöhrenschimmel-Wahl. Frau Jona&Son is living and working with her family on a farm in Austria.